Let me level with you; I’ve tested a lot of cryptocurrency wallets from the Ledger Nano S and Archos Safe-T Mini to Trezor, and I’ve written guides on cryptocurrency and crypto security. So when another cold storage device came across my desk, I balked at the prospect of checking it out. It couldn’t be that different from the ones I’ve already played with, or so I thought. I figured I may as well do my due diligence and at least mess around with it before sending it off to the Island of Misfit Products. Well, I’m glad I gave the BC Vault One Crypto Wallet a chance, because it proved to be a far different beast than the other hardware wallets I’ve used. BC Vault (short for Blockchain Vault) was created by REAL Security Inc., a firm with over 20 years of experience in IT security. Their stated goal for the BC Vault One was developing a wallet that was easy for novices, but packed with advanced features for crypto veterans seeking more idiosyncratic uses for their wallets. Its screen is large and easy to read, displaying more information like wallet addresses than just about any other wallet I’ve seen. According to REAL Security, the BC Vault One was intended to serve as more of a secure storage device for high amounts of cryptocurrency than as a wallet for processing transactions, hence the “vault” in the name. You’re reminded of this every time you connect the BC Vault to a computer and its screen displays the message “Wallets are for pocket money. Vaults are for safekeeping,” like some sort of crypto security affirmation. Along with the regular benefits of hardware wallets, like keeping your crypto safe from viruses and malware even when used with an infected computer, the BC Vault one boasts a feature called ferroelectric RAM (FeRAM) to store the private key. FeRAM grants a number of benefits over flash storage, chief among them being significantly more write-erase cycles over the device’s lifespan and faster write speeds than flash memory. BC Vault can stand the heat too: it can be stored without data loss for over 200 years at a temperature of 35°C (95°F). Unlike previously highlighted wallets like Trezor and Ledger which were deterministic, BC Vault uses Anonymous Independently Generated Private Keys. What this means is that no two wallets on the BC Vault can be mathematically linked, whereas a deterministic wallet generates its private keys using the same seed, meaning that all your wallets would be compromised if someone acquired that seed. By using a non-deterministic wallet, the BC Vault ensures that even if one of your private keys is stolen, it cannot be traced back to your other keys. 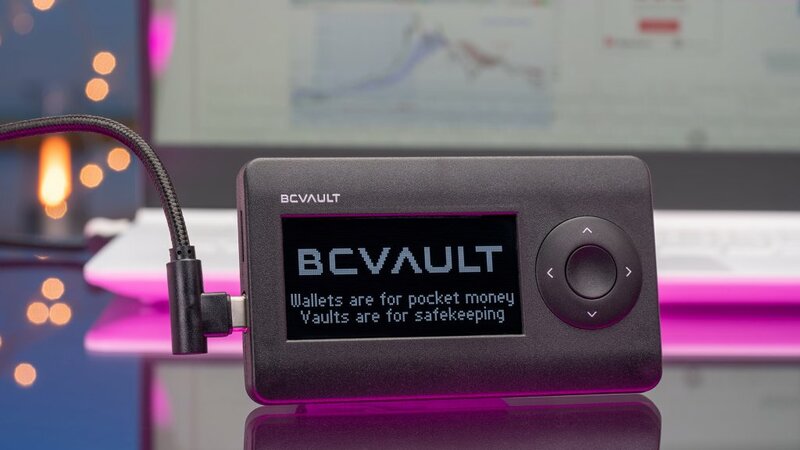 The BC Vault also differs from other wallets I’ve tested in the way it handles recovery. 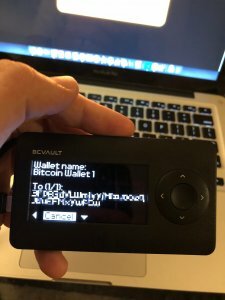 Trezor, Ledger, and Archos all use BIP39 recovery seeds, a sequence of words that restore your private keys and their contents on a new wallet. The BC Vault eschews this for microSD and printed QR code recovery. A 1GB microSD card is included with every BC Vault, but you can also use your own microSD card if you want more storage. 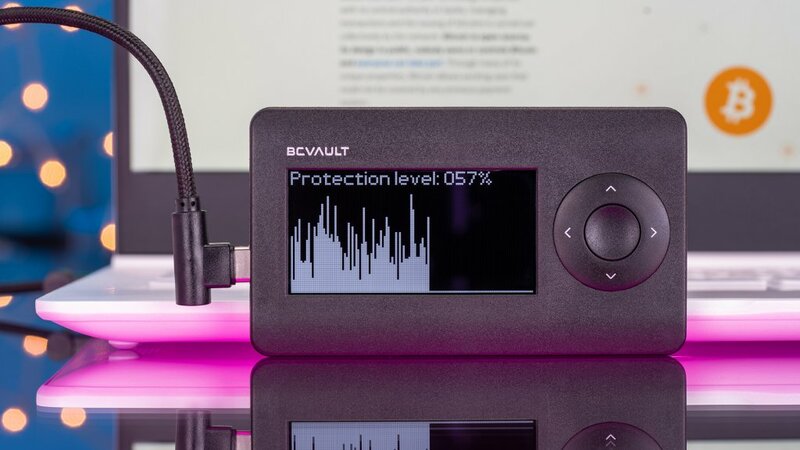 In the event your BC Vault and/or micro SD card are stolen, your wallets will be protected by the password and PIN you set up for the device and each individual wallet, backed by REAL Security’s strong encryption technology REAL Security is so confident in its encryption that they’ve included a private key with 1.0 BTC (roughly $3,500 USD at the time of writing) in every BC Vault, as a reward to anyone who can break their encryption. When REAL Security talks about designing the BC Vault to store large quantities of crypto, they mean it: BC Vault supports over 2,000 simultaneous wallets for such cryptocurrencies as Bitcoin, Etherium, and Litecoin (A full list of supported currencies is available on the BC Vault website). Support for XRP (Ripple token) and other popular currencies is on REAL Security’s 2019 roadmap as well. Visually, the BC Vault One is quite a departure from the other wallets I’ve tested; I was immediately struck by its large display and four-way directional pad and center button. It almost looks like a Zune (that’s supposed to be a compliment). 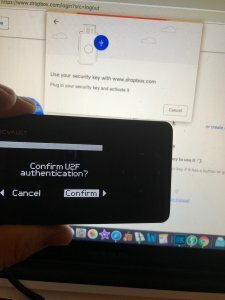 As I would come to find in my testing, the larger screen pays off in how much more information it can display than other wallets I’ve tested, Keep in mind that even though it’s larger than a lot of other hardware wallets, it’s still a pocket-size device, small and lightweight enough for easy portability. You can also use the BC Vault as a U2F (Universal 2nd Factor) authentication tool for websites and services like Google, Facebook and Dropbox. If you’re unfamiliar with U2F, it essentially means that you use a “key,” in this case the BC Vault, to login into an account after inputting your password as part of a two-step verification process. Setting up the BC Vault proved to be quite different than the other cryptocurrency wallets I’ve tested. You start similarly enough, connecting the BC Vault to your computer via the included USB-C to USB cable and downloading the BC Vault application. Once I got everything connected and downloaded, things took a big turn from what I was used to. You are asked to shake the BC to initialize its random number generator, which is used to generate wallet keys. As you shake the BC Vault, a “Protection level” meter on its screen goes up, indicating how much more shaking you need to do. It’s certainly the most active setup process of the crypto wallets I’ve used. After generating your wallet and downloading the BC Vault application for your computer, you are instructed to sign into your wallet on the app. When setting up a new wallet, you simply leave the password section blank, as you will be creating one in the app settings. Creating a password is easy enough, but the PIN is a bit different than what’d you typically expect from a hardware wallet. Instead of a numeric code, the BC Vault uses a sequence of directions inputted on the wallet’s 4-way pad. This could have been a recipe for disaster if the BC Vault’s directional pad wasn’t precise, but I never ran into any incorrect inputs during my testing. Pro tip: Don’t do what I did and absent-mindedly create your password and immediately forget it. At the time of writing, the BC Vault support page doesn’t include instructions on how to reset your device, which made me fear that I essentially bricked my wallet. Fortunately, I reached out to BC Vault’s support team and promptly received a response that instructed me to hold down the center and down buttons while connecting to the computer. I followed their advice and was greeted with a wallet reset option on the BC Vault’s screen. I normally wouldn’t bring this type of thing up in an article, but at the time of writing the BC Vault support page doesn’t make any mention of this reset process, so I felt it important to pass along to our readers. Each time you sign into the BC Vault, you must enter your password on the computer, followed by your PIN on the wallet. 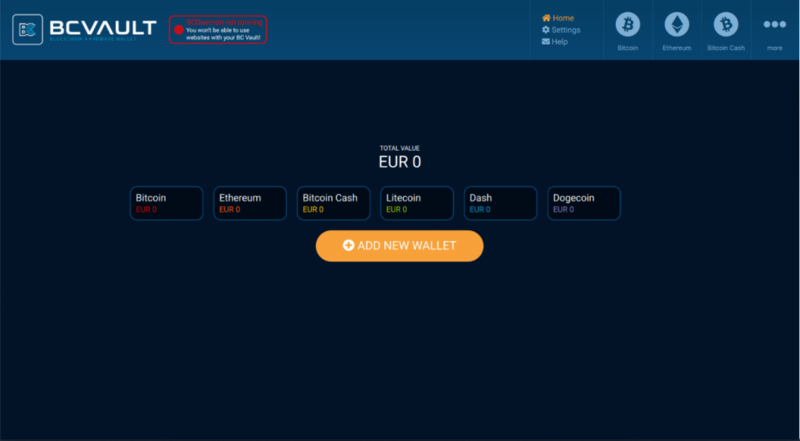 After this, you are deposited into the home menu of the BC Vault application, where you’re given the option to create a new wallet for one of the BC Vault’s supported currencies, and an overview of the values of your assorted wallets. From the home menu, you can click one of your wallets to be taken to its individual menu, where you can send or receive crypto. As stated earlier, the BC Vault does not use the recovery seed process I’ve used on other wallets like the Trezor and Ledger, so I started from scratch with a new Bitcoin wallet and sent it some BTC from one of my online wallets. Sending and receiving crypto was exceptionally easy on the BC Vault, and the wallets’ larger screen affords more real estate for transaction information. When I sent some Bitcoin to another one of my online exchange wallets, I could see its entire public address on the screen without having to scroll, which wasn’t the case on some other wallets I’ve tried. Navigating through the transaction with arrow keys and a single button also felt more natural than wallets that use two buttons and a combination of single or double presses for transaction confirmation and menu navigation. Kudos to REAL Security for giving the BC Vault the intuitive controls I think hardware wallets should have used from the start. I tried out the U2F key feature with my Dropbox account. Setting up the BC Vault as an authentication tool was easy and only took a couple of minutes. All I had to do was enable two-step verification on my Dropbox account, after which I was given the option to register a key to my account. After clicking the Add button on their site, all I had to do was plug the BC Vault into my computer and confirm on the BC Vault screen that I wanted to use it as a U2F key. To make sure it worked, I signed out of my account and logged back in, confirming on the BC Vault screen that I wanted to log in, and was quickly deposited to my account homepage. The whole process was smooth and painless, with no noticeable delay between initiating the login on my computer and the confirmation appearing on the BC Vault’s screen. While it’s not the main attraction, U2F is a great bonus feature that makes it easy to keep your online accounts secure. Not everything about the BC Vault is perfect. The lack of XRP support stings, and even though it’s slated for support sometime in 2019, that could be an issue if you’re in immediate need of a hardware storage option for XRP. Perhaps a bigger deal to some readers will be the lack of mobile support. While this doesn’t affect me — as an iOS user I’m used to going without support for crypto hardware — it may prove to be a dealbreaker if you want a wallet you can use on the go with your Android device. However, just like XRP support, mobile compatibility is slated to come sometime down the line in 2019, so there’s still some hope for you Android lovers out there. My one other quibble with the BC Vault One is the inconsistent UI. I found some aspects of the interface to be a tad clunky; as seen in the picture above. The transaction confirmation screen displays its options in a bizarre manner, with only the cancel button visible before scrolling, and the arrows awkwardly situated on the screen. Contrast that with the picture of U2F authorization, which features a much cleaner UI, and you’ll see what I’m talking about: there isn’t a unified design sensibility for navigation. Despite these caveats, my overall experience with the BC Vault One cryptocurrency wallet was positive, and a little enlightening. I appreciated the larger screen and the simplicity of the BC Vault app most of all, and, to say again, I was surprised by its different approach to crypto storage. I think it’s a fine 1.0 product iteration, and with a little polish or even a software update, it could become as big as Trezor or Ledger. The Way Forward for Cryptocurrency Wallets? I thought there was no room left for innovative competition in crypto wallets. 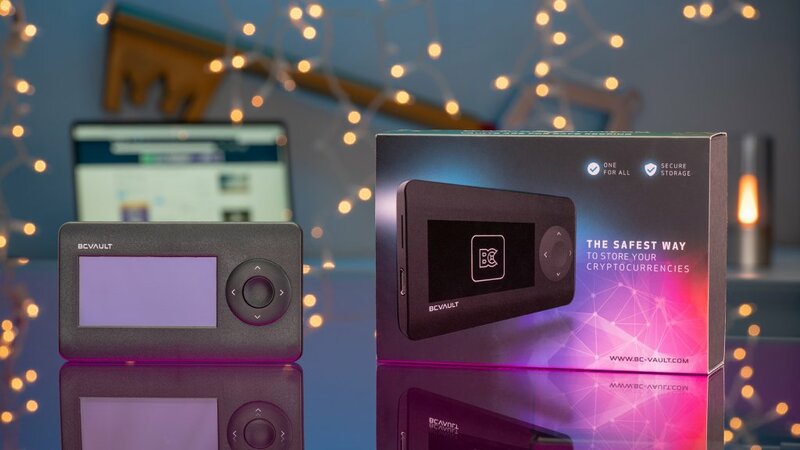 Trezor and Ledger have become titans of the industry, dominating the mindshare and market. I was delighted to have the BC Vault prove me wrong. REAL Security’s opening salvo in cryptocurrency storage should make waves, with its non-deterministic wallet tech, ferroelectric RAM storage, and large screen. 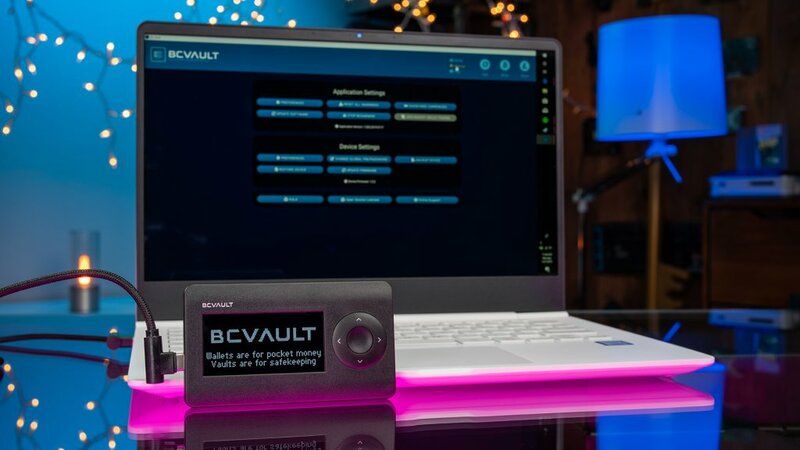 The BC Vault One is the biggest departure from traditional crypto wallet design I’ve seen since the Trezor Model-T, and deserves a place alongside that innovative wallet as the way forward for better coin storage. BC Vault One is a cryptocurrency wallet that takes a fresh approach to secure crypto storage, with the ability to protect more than just your digital currency.